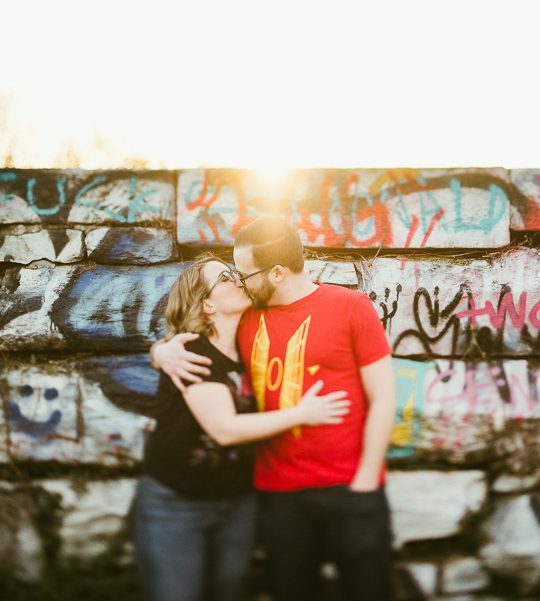 We’re back this afternoon with another adorable engagement session to share! 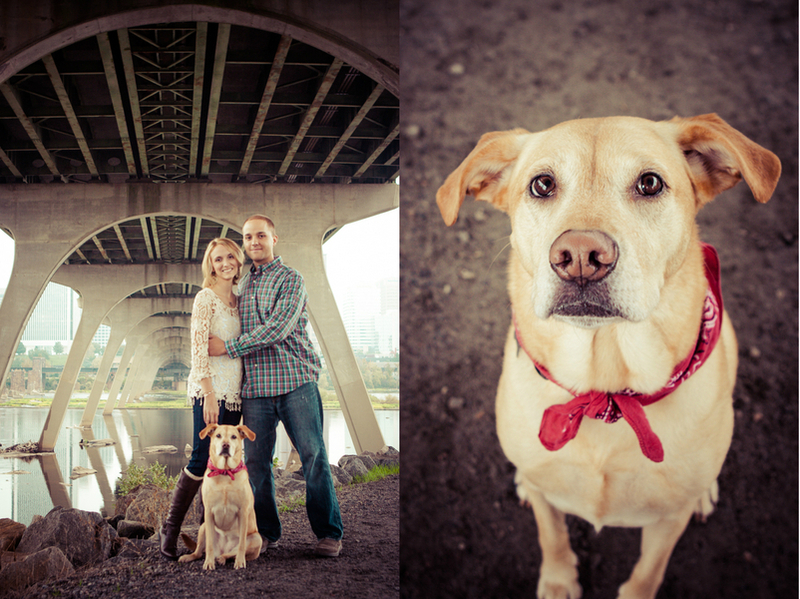 This one comes to us from What A Lovely Photo and it features Ashley & Jason and their adorable dog under the Manchester Bridge in Richmond, VA! It also includes a really beautiful love story all from the bride to be. Be back tomorrow with an awesome wedding feature! Jason and my story begins back in September of 2009. I was living in Columbia, South Carolina after college and looking for a job in Richmond, where my at the time boyfriend had just been transferred. I got a call from Mapcom Systems and arrived for my interview on a Tuesday morning, talked with the CFO and some other folks before he told me he wanted me to meet Jason. When Jason walked in to the room there was instant attraction; butterflies I had always heard about but never felt. 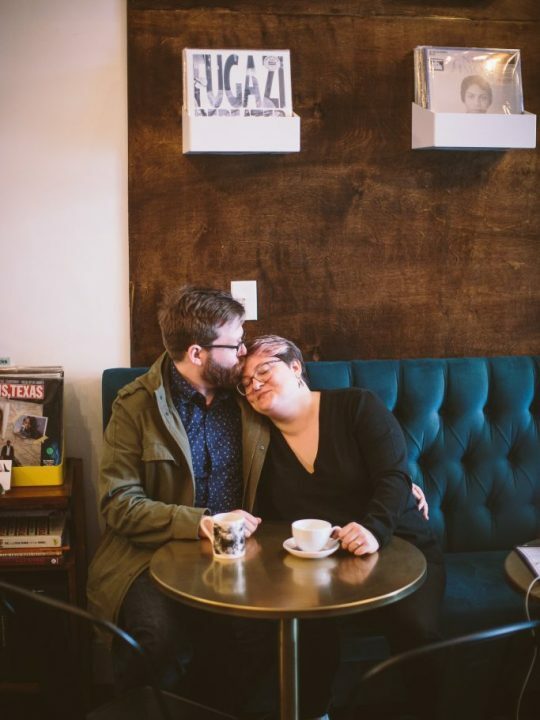 We spent a long time talking about traveling and our personal interests, completely disregarding the fact that I was on a job interview, almost as if we were on a first date. Shortly after talking with Jason, I was hired for the job on the spot and living in Richmond that October, with my boyfriend. I started work and instantly created a connection with a small group of friends in the office, Jason included, however he happened to be dating someone as well (who sat directly across from my cubicle) and because of that was always a little shy around me and somewhat distant. Over the next several months, both of us still in other relationships, Jason would always include me in email invites to lunch with the group or on skiing trips to Wintergreen; I always declined because of my dating situation, although I always wanted to be around him. Late that summer, my boyfriend was transferred again to North Carolina, and I stayed behind for my job and knew that long distance relationships were hard. Come October, one of our co-workers had a Halloween party. I had no idea who would be going, didn’t see Jason’s name on the evite RSVP list, yet decided to go anyways. I arrived at the party, had a beer and talked with some of my co-workers when I heard someone yell, “Taco is here”! (Jason came in second place in a taco eating contest in college and since has had an extreme obsession with Mexican food, dones a taco costume every Halloween and even has worn that costume in many a half marathons, hiking trips and it even made it to Iceland on a trip Jason took with his dad). Back to Halloween, once Jason arrived, I felt myself instantly come alive! We had such a fun time, more fun than I had had in as long as I could remember. I couldn’t remember the last time I had laughed as much as we did that night. Extremely hung over and tired from the night before, Jason asked me the next day if I wanted to go on a hike with him. He picked me up at my apartment and we had a long ride in his white Tacoma (which I always looked for every morning I pulled in the parking lot at work hoping he was in that day) and talked and talked and got to know each other on a level we had not yet done at work. We shared a beautiful (and grueling) hike together and then ate Subway on the tailgate of his truck and continued to talk and laugh and get to know each other more and more. We spent the next month or so hanging out, going on dates here and there but being fresh out of a relationship (and working right next to his ex-girlfriend) we both decided that maybe it would be best to slow down a bit and try this later. 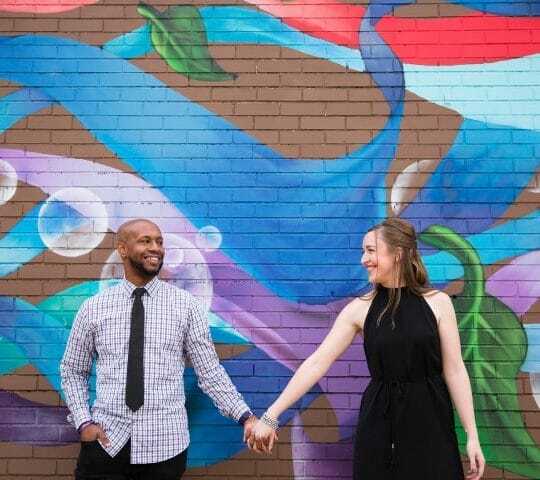 Click inside for the rest of Ashley & Jason’s beautiful Richmond, Virginia engagement session and love story! Months later, I ended up back with the same boy I moved to Richmond for and found myself at a crossroads. Should I stay or should I go? I didn’t have much in Richmond besides a job and a couple friends, but I wasn’t happy. I told one of my good friends at work that I was contemplating moving to Wilmington and almost as soon as he heard that he told Jason that if he was ever going to make a move he had to do it now because I could be leaving him. Jason in a panic, pulled our friend Michelle outside and pleaded for her to convince me to stay, telling her that I deserved so much more and that I didn’t have to be with him but I shouldn’t be with the boy in North Carolina, I could do so much better than that. 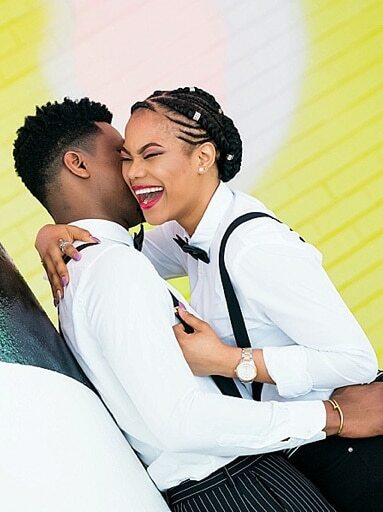 As soon as I heard that from Michelle, a completely honest, sincere and 100% selfless plea from a boy I had always known I had a connection with, I broke off my relationship for good and told Jason I wanted to jump in feet first and from that moment on we never looked back. We started dating and spending all of our time together. Jason started living with a couple friends in the West End and I spent a lot of time there while I wasn’t on the road for work that summer. He met my family for the first time at Smith Mountain Lake on the 4th of July and during the fireworks, after only a few months of dating, told me he loved me and I told him that I loved him, too. It was unlike anything I had ever felt in any relationship I had had before that, the only time I actually knew in my heart that this person was the only person that I was meant to be with and to spend my life with. In August, I moved in to a new apartment with Jason’s help, he stayed with me the first couple of nights so that I felt comfortable, and didn’t leave after that! 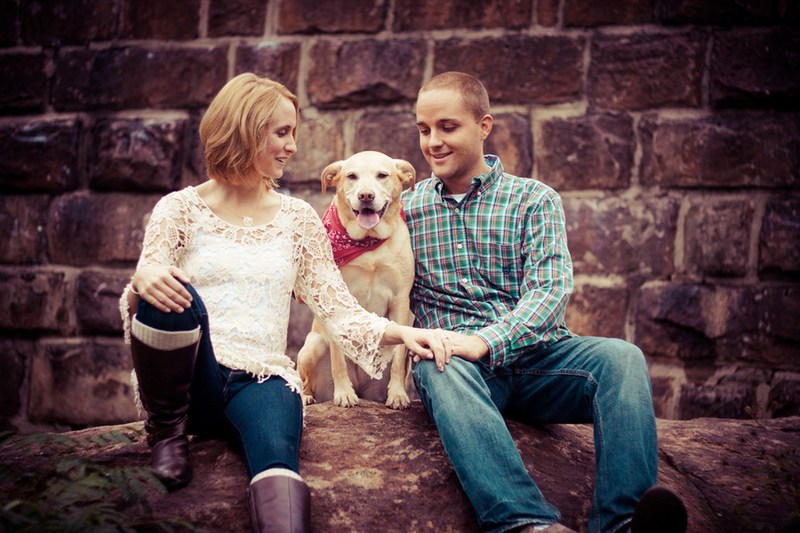 From almost the beginning, we have lived together, with our little yellow dog, Madison, and learned more about each other each day and with every new experience. We have gone on lots of adventures together, climbed mountains and crawled through caverns and canyons, swan in oceans to the West and the East and nurtured a love that I know will outlast us both. 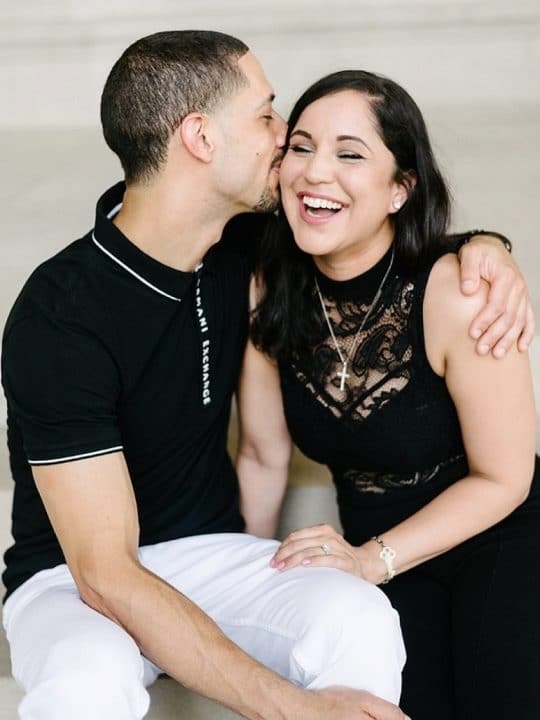 Jason told me a year after we started dating that the day he met me in my interview, he knew that I was the one and I became part of his plan; he said that he wasn’t going to settle for anything less and that he wouldn’t stop trying until I was his. I told him that I he was my plan, as well. Two years, to the day, passed the first time Jason ever told me he loved me, we found ourselves on the very same dock on Smith Mountain Lake watching the fireworks. Like any other girl in love, I had been hoping for a proposal on any and every trip we had gone on in the last two years. (The only reason I had the endurance to hike up an 11,000 foot mountain earlier that summer was because I thought there was a ring at the top!) I had thought deep down what special significance the 4th of July had in our relationship and what a beautiful time it would be to pop the question, but after telling my sister she convinced me that this would not be the time and that she didn’t want me to get my hopes up. A little bummed out, we held hands on the dock, with our little yellow lab in my lap, and watched the fireworks glow above us. Jason looked over at me during the show and asked, “You said it was exactly two years ago that I first told you that I loved you”? I told him yes and my eyes began to well up as I saw him reach into his pocket and pull out a little black box. 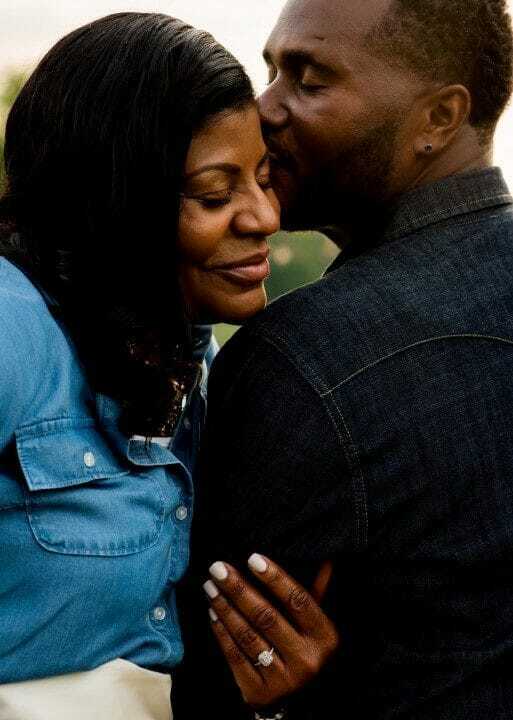 My first reaction embarrasses me still as I remember saying, “Shut up” and continued to cry as he slid the ring on my finger and I said “yes”, pulling him in for a million hugs and kisses. I can still remember how he took my breathe away two years before that and then the same feeling that night. My family had been in on the plan and brought us champagne and glasses that said “Bride” and “Groom” and I was able to celebrate with all the people I love so much. It is a day that I am never going to forget, however any moment I spend with Jason is unforgettable even if we are just cuddled on the couch watching Jeopardy or on another big adventure somewhere out in the world. 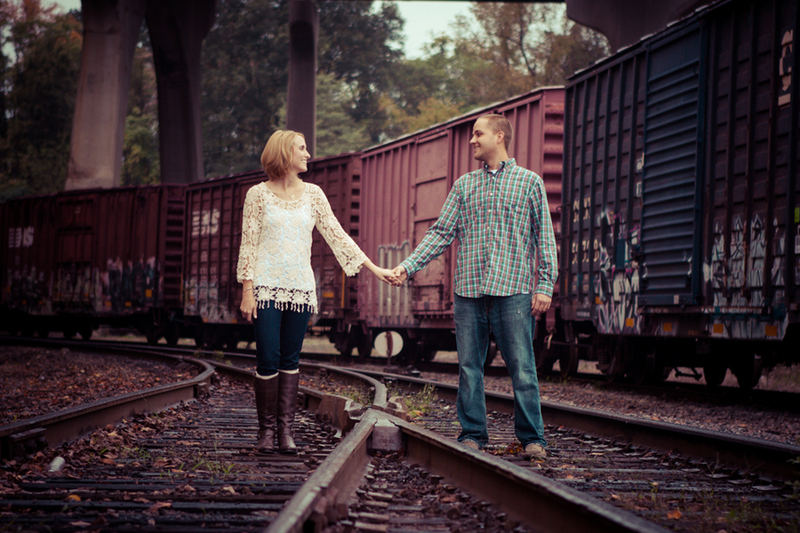 We have set our wedding date for May 17, 2014 in Richmond, Virginia at Linden Row Inn. 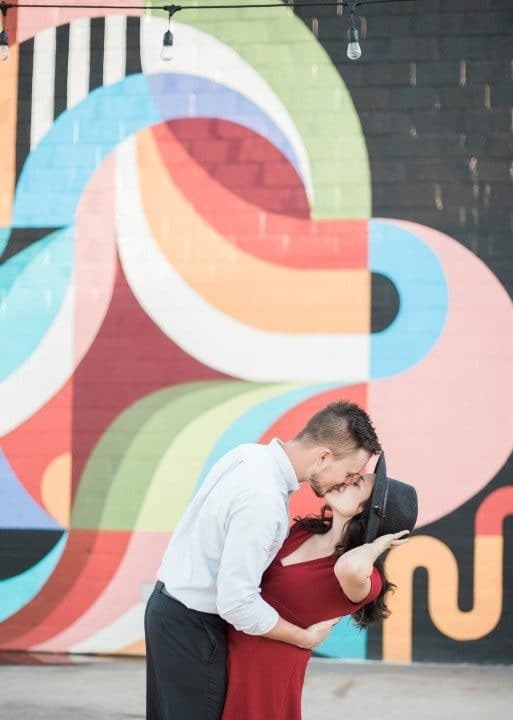 We are so excited to have our close family and friends all get together and hopefully all get to feel a little bit of the magic that I get to feel every day, as the man of my dreams becomes my husband! Ashley, I can’t thank you enough for taking the time to write out your beautiful love story and sharing it with us! 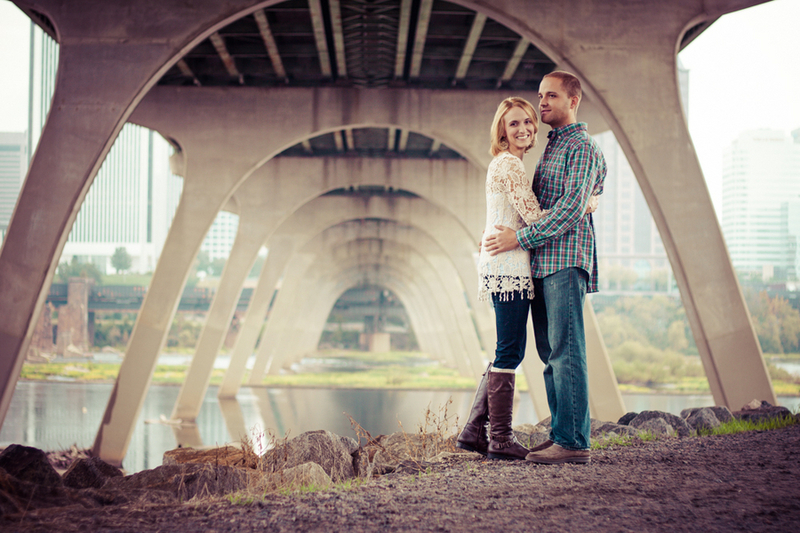 Congratulations to you and Jason and best of luck with your wedding next May! 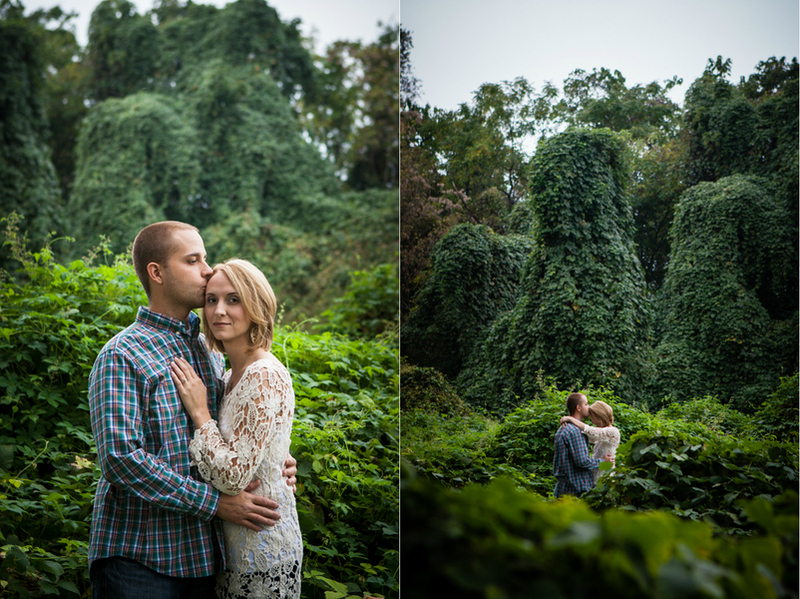 A special thanks again to What A Lovely Photo for sharing their images with us!